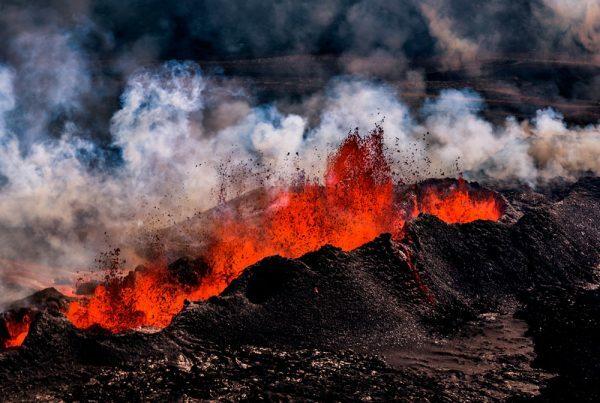 Currently, news on Öræfajökull, Iceland´s largest central volcano (2,110 m), flash in the media. Earthquakes, including deep source shocks, and sudden geothermal activity cause concern. No one can predict the development but monitoring has been increased and evacuation plans and other counter-measures have been addressed in cooperation with local authorities. Airborne surveillance reveals a circular cauldron in the centre of the snow and ice field that covers the 500-600-m-deep top caldera. The circular cauldron is about 1,000 m wide and 20-25 m deep, caused by melting at the bottom of the glacier. 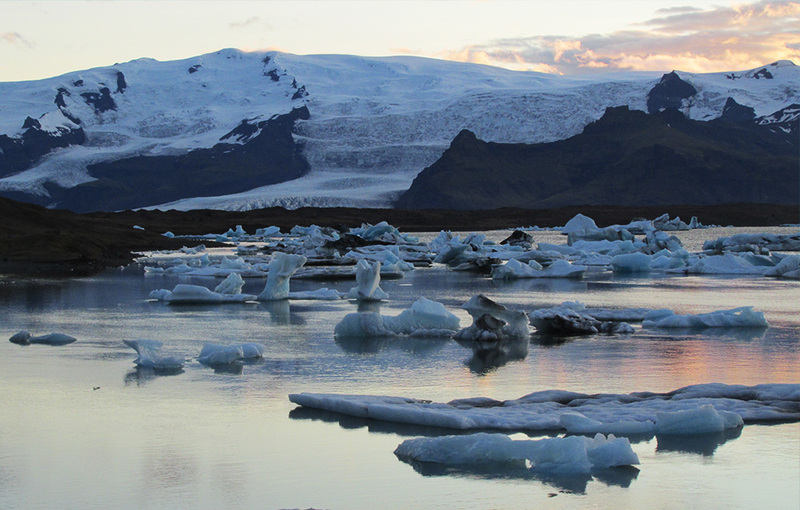 Increased discharge in a river that flows from a long valley glacier in the south slopes of the mountain (Kvíarjökull glacier and river Kvíá) contains chemical elements that confirm new and strong geothermal activity. This fact and a sudden increase in seismic activity may suggest magma up-flow into the roots of the volcano. The process may come to a halt but it could also be a prelude to a volcanic eruption, large or small, within weeks, months or years. 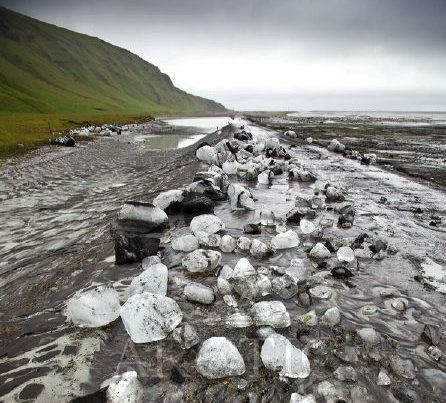 Subglacial eruptions produce ash and result in a flash flood (jökulhlaup). 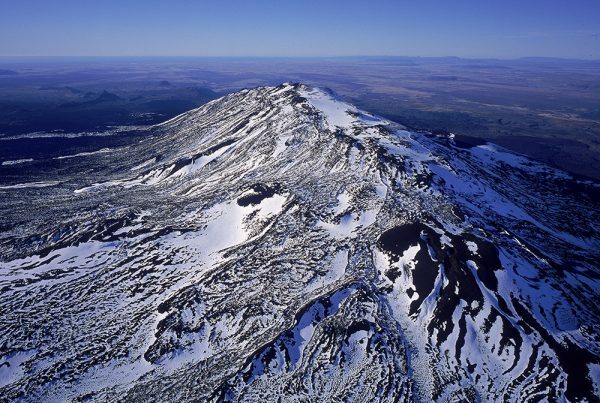 In this case the intensity of a possible eruption is, as always, unforeseen but a flood would be violent because of the height of the mountain, with a volume depending on the initial intensity of the eruption. Öræfajökull erupted with great force in 1362 after a long repose (10 cubic km of airborne tephra). The volcano erupted again in 1727-8 but then with moderate force.